Prompt Charters is the # 1 charter bus rental company in Charleston, SC. As the leading tour bus, party bus and school bus rental company in town, we are here to help you find the right transportation solutions for you. We have been serving this city for over thirty years. 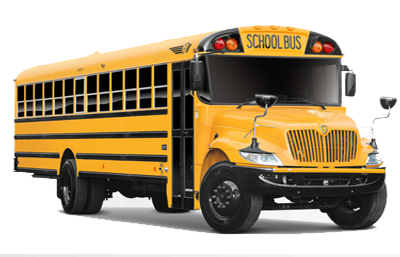 With an extensive fleet of Coach Buses, Mini Coaches, School Buses and motorcoaches, we are the largest charter bus and minibus company in town. 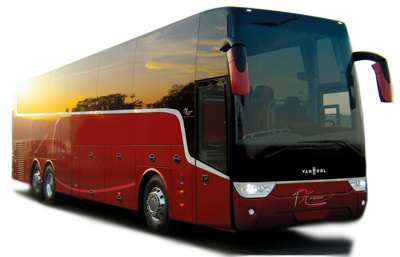 Charleston Charter bus rentals will be an answer to all your travel hassles. Plan anything from your Corporate or Group Travel, Sightseeing Tour or Professional Sports, Religious Convention or Bachelor/Ette Party, or Wedding or Convention, or Trade Show, and School Field Trip or Political Campaign without worries in Charleston, South California. Choose any vehicle based on your budget and other combinations from our Charter Buses and Motor Coaches, Mini Buses and School Buses, Tour Buses and Party Buses, Luxury Entertainers and Limousines, Limo Buses or SUVs, Sedans and Vans. We have a vehicle to suit every need and budget. Take our Charleston charter rentals to discover a city rich in history, tradition, and Southern culture. There is no doubt that you will get what you want and the right choice of accommodation, entertainment, and cuisine. Wherever you may choose to stay, you will find museums, parks, great restaurants, and shopping conveniently located nearby. Savor the famous cuisine at the best restaurants in Charleston. After dinner, be sure to take in the Charleston nightlife at one of the exciting nightclubs. Travel with pleasure in one our Charleston charter bus rentals and experience what the city offers you. Take our charter vehicle to reach into the attractions you are interested in. The Charleston city offers you Classic Carriage Tours, Fort Sumter Tours/Spirit Line Cruises, Fresh fields Village, Gibbes Museum of Art, Holiday Magic in Historic Charleston, Patriots Point Naval & Maritime Museum, South Carolina Aquarium, Charles Towne Landing State Historic Site, Charleston Ghost & Graveyard Tour, Haunted Jail Tour, MOJA Arts Festival, Piccolo Spoleto, Southeastern Wildlife Exposition, and Charleston Farmers Market. Entertainment - If you’re looking for entertainment in Charleston, look no further. Head over to the Charleston Performing Arts Center. Here, you can enjoy live music and shows. Visitors have said they will continue to come here. The Charleston Performing Arts Center does not only adult performances, but also those for the youth. Arts & Cultural – If you like art, you need to head over to Gibbes Museum of Art. The museum is filled with interesting exhibits and collections. While the collections are not massive, they are well worth the price. The works of art feature both famous artists and those locally based in Charleston. One of the most popular is an exhibit by Radcliffe Bailey. Restaurants & Shopping - The Charleston City Market, although a bit of a tourist trap, is an interesting place to shop. Here, you can find vendors selling toys, clothes, special goods, and more. Another popular shopping place is Belmond Charleston Place. If you’re looking for an upscale shopping center, The Shops at Belmond Charleston Place is the place to go. It features luxury brands like Gucci, Louis Vuitton, and more. If you’re looking for a great sit-down restaurant, look no further. There might not be a better sit-down restaurant in Charleston than Halls Chophouse. The American steakhouse is rated the # fine-dining restaurant in Charleston by TripAdvisor (in 2018). Sports Venues – If you enjoy sports, head over to the MUSC Health Stadium. The MUSC Health Stadium is a soccer stadium that is the home of the Charleston Battery, which competes in the United Soccer League. Another popular sports arena is the North Charleston Coliseum. The Coliseum is home to the South Carolina Stingrays and the Charleston Southern Buccaneers men’s basketball team. Historical Sites & Landmarks – Charleston is filled with historical places. For starters, you have the Nathaniel Russel House. The Nathaniel Russel House was built by Nathaniel Russel in the early 1800s. Russel was a rich Southern businessman. The historic house is mostly known for its famous spiraling staircase. Other popular features of the estate are the furniture and gardens. Another popular historical site is Middleton Place. Middleton Place, built in 1755, was the home of Arthur Middleton, one of the people who signed the Declaration of Independence. Today, you can find historic items like furniture and portraits inside. On the property, there is also a stable that houses heritage bred animals. You can also watch re-enactors show how life in the 18th century used to be. The real attention-grabber is the gardens. The gardens are modeled after a traditional French garden. Parks & Outdoor Activities – If you enjoy the outdoors, Charleston has you covered. The Magnolia Plantation & Gardens is a popular outdoor attraction. This place is perfect for those who love avid nature. The house is worth the visit, with a gorgeous interior. There is also an Audubon Swamp Garden, where you see gators, turtles, and otters. There are also several trails where you can go jogging or ride your bike. Another popular outdoor activity is to visit the beaches at either Sullivan’s Island or Folly Beach. Zoos & Aquariums – Do you enjoy the presence of animals, especially aquatic ones? Head over to the South Carolina Aquarium. The South Carolina Aquarium is a popular marine life viewing center in Charleston, South Carolina. They have been opened to the public since 2000. They have several exhibits, some popular ones being Carolina seas and BricksALIVE. Other points of Interest – Another popular attraction in Charleston is the Children’s Museum of the Lowcountry. If you have kids with you on your trip, you need to bring them here. Here, they can enjoy as well as learn about history. The Children’s Museum is a must-see for the kids. Get quotes for our Charleston charter bus rentals and services, especially during emergencies and airport transportation. Start packing your bags for a trouble-free journey!